The last broad gauge train from Paddington through to Penzance was the Cornishman Express which left Paddington at 10.15am on Friday 20 May 1892. It arrived at Penzance at 8.20pm. The last broad gauge train to leave Paddington was the 5pm to “the West of England” did not come through to Penzance. A passenger train left Penzance at 8.5pm. and many people travelled on it to Marazion so that they could travel back into Penzance on that last broad gauge Cornishman. Through Cornwall the last trains would have been hauled by saddle tanks. On Friday night the remaining broad gauge vehicles and locomotives were sent up the line and work began to change to standard gauge. Between Truro and Penzance it was relatively easy since it only involve removing the third rail from the sides of the standard gauge line and this could be done at leisure since trains no longer used the third rail. The exception was the St. Ives branch, built as recently as 1877, which was broad gauge only except for mixed gauge from St.Erth to Lelant. Remarkably, by Monday morning 23 May gauge conversion was complete. 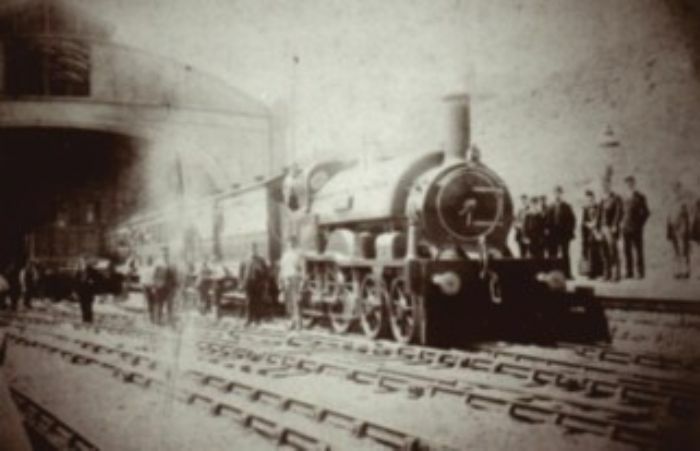 The job was scheduled for completion early in the morning on 23 May, the confidence of the GWR schedulers that this would be (as was) achieved is demonstrated by the fact the Night Mail from Paddington, leaving on the Sunday evening, was booked through to Penzance where it arrived at 4.40am, the first standard gauge train into Penzance on the newly converted line.